Well we all know that when "Old Man Winter" comes around it means putting the camper up for the season. A lot of us call this procedure "Winterizing Your Pop Up" . I do not agree with this especially after most of the nation this year experienced one of the most mild winters ever. We call it our "Annual Preventive Maintenance " program, or APM for short. Below you will find a check list that we do each year to our pop up. We as a few, camp almost year round. My concern mostly when camping in the winter is frozen water lines. I wanted a quick and easy way to protect these lines, water heater and ect. without having to add RV antifreeze each and every time. Well campers I am about to share this easy method with you. I have been doing this for years and has really worked out great. Take a week end or two and set up your on APM program and your camper will function like new every time. This is our 10 point checklist. 1. Wash & Wax the exterior of the camper. 2. Clean and wash the canvass. ( we use Simple Green cleaner but consult your owners manual) Before closing up your pop up make sure it is dry to prevent mildew. 3. Clean the inside thoroughly and then place mothballs in glass containers or use dryer sheets for mouse deterrents and to keep spiders out. 4. Clean or wash curtains. When dry we spray all of the curtains with Lysol. This will prevent any mildew from forming. We have never had a mildew problem since we started doing this. 5. Make any repairs that needs attention. 6. 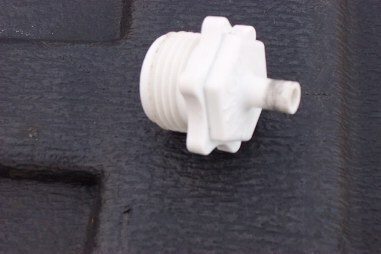 If you live in a cold climate you may want to remove the battery and store in a cool and well ventilated area. 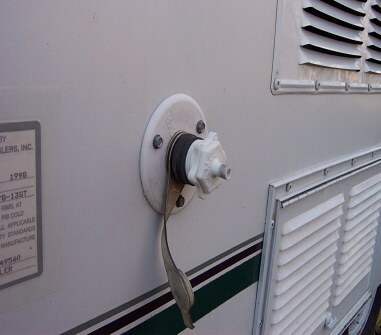 We keep ours on the camper and plug in the camper every 3 weeks to maintain a charge. This seems to work here cause the battery is 3 years old and still rings out at 12.7 volts when checked. 7. If you use a tarp always use the ones that will breath. A lot of tarps will impede the airflow and cause mildew and mold to form inside. We keep ours under shelter. 8. Do not overlook your tires !!! Check tire pressure and torque the lugs nuts to manufacture specs. Apply a product that contains a UV blocker on the tires. 9. Wheel bearings !! Repack the bearings every 12,000 miles with out fail. 10. WATER SYSTEM ! This is a major concern ! 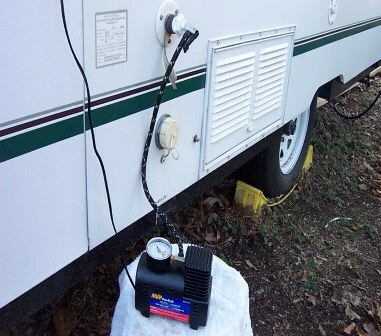 A lot of campers uses RV antifreeze. NEVER USE AUTOMOTIVE ANTIFREEZE for this is HIGHLY toxic !! I don't like neither one. You heard me correctly campers. Now is the time to share with you a method that is quick and will give you more camping time then you thought. How Simple Can It Be !! winterized in 5 minutes !